For the full details, I recommend you check out the detailed coverage over at XDA, as they've gone quite in-depth and tested it under beta for some time. For the survey course version, continue on below. The name — Andromeda — may have been poorly chosen, given there's a much larger project of the same name involving Android manned by Google. This could result in some confusion down the road if Google's Andromeda goes anywhere, but for the time being it's just a minor annoyance. Andromeda is also not free and runs $2.49 at the time of writing. It was originally supposed to be listed for $1.99, so there may have been a mistake made with the listing, or the price may have been adjusted. Andromeda is an add-on for Substratum. If you aren't familiar with Substratum, but you enjoy customization, then I recommend extra research on the topic. But, the short version is that Substratum is a theming engine based on Android's Overlay Manager Service, which comes from the old Runtime Resource Overlay system Sony developed for its ROMs. This history differs from the Cyanogen/T-Mobile Theme Engine (if you remember that) but the functions are similar. 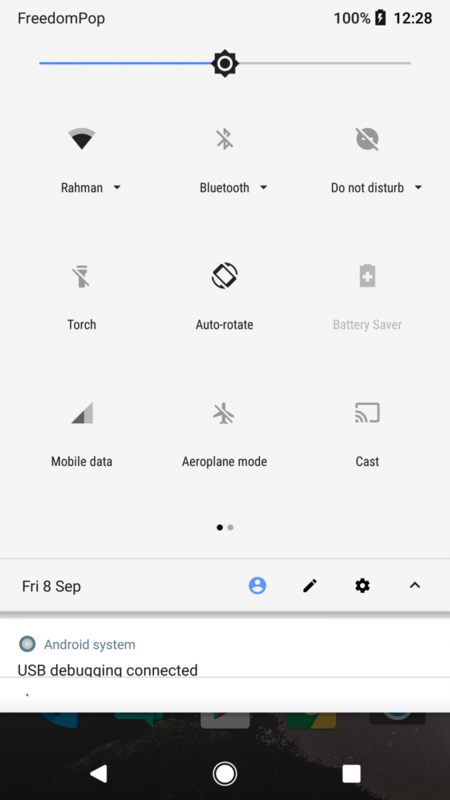 Basically, Substratum lets you change things like backgrounds, fonts, and other assets across apps on your device to tweak how things look. 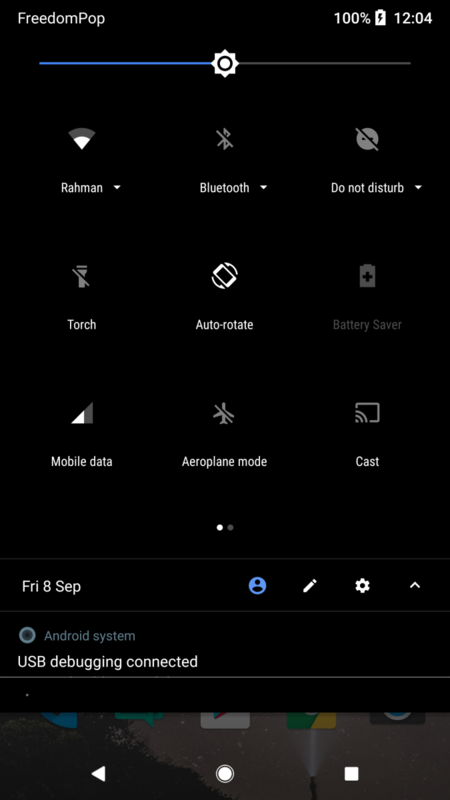 Substratum even works with a wide variety of 3rd party apps. By itself, Substratum doesn't work on Android O — at least, without root — and that's where Andromeda comes in. 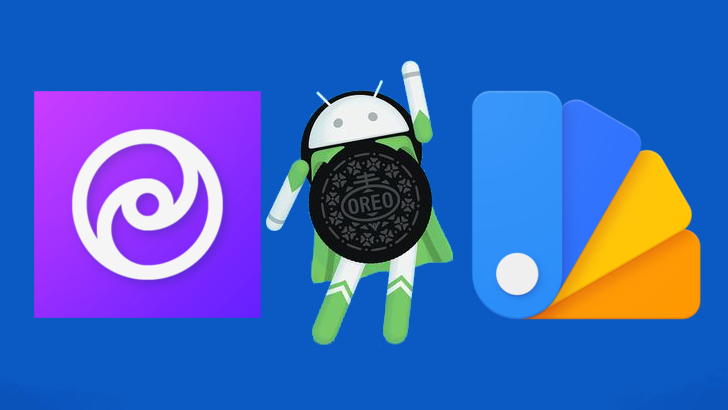 It allows you to theme devices running Oreo by using your PC to elevate permissions via ADB. 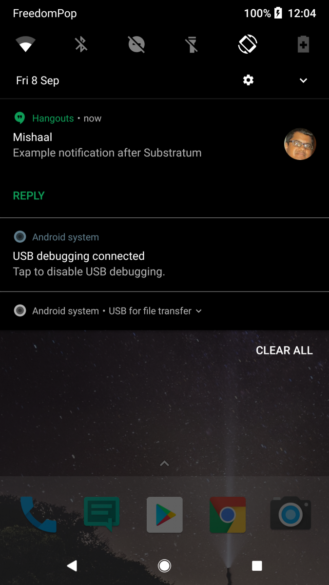 You see, Substratum can work in Android O via the Overlay Manager Service, mentioned above, which was recently added to AOSP and ships in Oreo. But, to work without root access, it needs Andromeda. Andromeda is a two-part solution. You'll need to buy the Andromeda app, available here, install the Substratum app from Google Play, and download either the Andromeda scripts or desktop client from the official Andromeda thread at XDA. Then you'll need to enable USB debugging on your device, Open the Andromeda app, connect it to your PC, and run either the script or desktop client. As I said, it's not the simplest procedure. But those with basic knowledge on subjects like ADB should have no problem wrapping their heads around how it works, and the script/desktop client is simpler than doing everything manually. It's not a terribly complicated procedure, but if you'd like a walkthrough of the process, the folks at XDA have put together quite a detailed one (as well as several others tutorials). The only real limitation of Andromeda is that you'll need to have granted the elevated permissions via ADB/your PC recently, as they're lost at each reboot. So if you install a theme and reboot, the theme will stay installed, but it can't be removed or changed until the permissions have been granted again. Once you find a theme you like, that limitation shouldn't be a big problem. The best part about Andromeda? You can even get the blobmoji back. 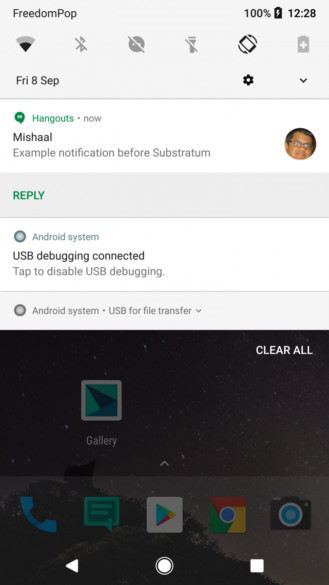 It won't work with system apps, but the guys at XDA have put together a how-to for re-enabling those venerated lumps of old via Andromeda/Substratum. That in itself is worth at least $10, IMO.